Luc Boivin has been working in the music industry for over 35 years.  Firstly as a percussionist and also as musical director, creator and producer as well as teacher. By the end of the 80's, beyond his success in the musical industry as a percussionist, he distinguished himself as director and musical coordonator for many projects, on the scene as well as studio productions. Mr Luc Boivin has been musical director on many shows and corporate Galas, like the "Publicité Club de Montréal" and "Global Summit" by Microsoft with its president Bill Gates. Not the least, since 1994, he adds up to those, the famous "Harley Davidson Rock Show" in Montreal and Toronto. He also acted in that title for many artists such as André Philippe Gagnon, Linda Lemay, Claude Léveillé, Mario Pelchat and many others, playing an important role on scene as well as for albums. Luc has also participated as a co-creator, lead percussionist and musical director of the revue "Rock à l'Opéra". 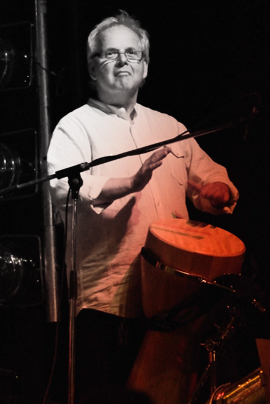 He has been percussionist for the singer Gino Vannelli for its world tour from 1998 to 1999, played in the United States, Japan, Europe, and Canada. For television media, Luc has been musical director for many special programms, like galas and series. Some of those are: "Gala des prix Gémeaux", "La Franco Fête", "Loto Québec" and a special presentation, shown on Radio Canada Society "Les Beaux Dimanches" introducing music from around the world and also the show for the 75th anniversary of Radio Canada but the show that has contributed the most to his fame in and out the T.V. industry as musical Director is without a doubt "Beau & Chaud" animated by Normand Brathwaite. Actually Luc is assuming the musical direction of the "Belle & Bum" show. A 90 minutes weekly, animated by no other than our talented Geneviève Borne and Normand Brathwaite. Luc, does not hesitate to share his skills, talent, and knowledge with pride and generosity through his school. A school where the first goal is the quality of teaching in order to bring up front the value of the students.